Pelé: Birth of a Legend is an American biographical film about the early life of Brazilian footballer Pelé and his journey with Brazil to win the 1958 FIFA World Cup. The film is directed and written by Jeff Zimbalist and Michael Zimbalist. The film stars Kevin de Paula, Vincent D’Onofrio, Rodrigo Santoro, Diego Boneta, with Colm Meaney, and a cameo of Pelé himself. 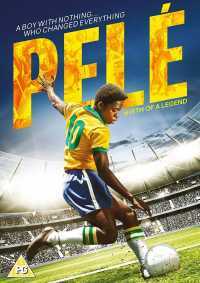 The film is centered on the relationship between the character Pelé and his father. The principal photography started in Rio de Janeiro on September 2013, and the filming lasted until late 2014. The film was released to negative critical response, with film critics pointing out flaws in the narrative, criticising the lack of depth.